^^AGL has signed and is committed to about 15,000sqm of the 18,600sqm available. So it's a done deal and will be built. So from what I can see it will only take up half that block, with the other Collins Street facing half still available? I believe that AGL are only taking 15,000sqm at 699 Bourke and that Mirvac are still looking for an anchor tenant for 664 Collins. Not sure if that means that only the northern end of this will be built for now. Yeah, building is 80% committed it will start construction next year they said. 664 Collins Street on the other side is still waiting a pre-commitment, it's a bigger building around 27,000sqm. 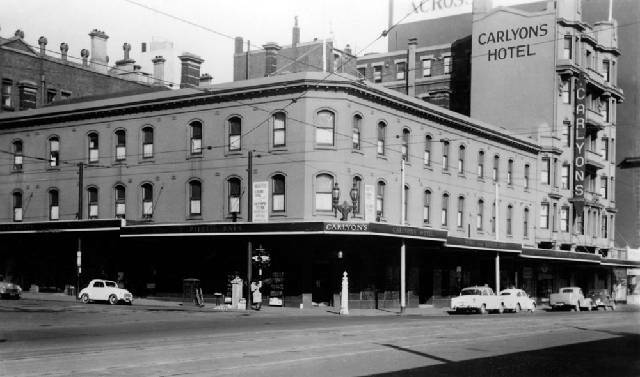 A notoriously derelict building in the Melbourne CBD, the Savoy Tavern, will live again, with plans by its owner, former Asciano chief Mark Rowsthorn, to return the venue to its glory days. Just demolish the damn thing for Christ sake! 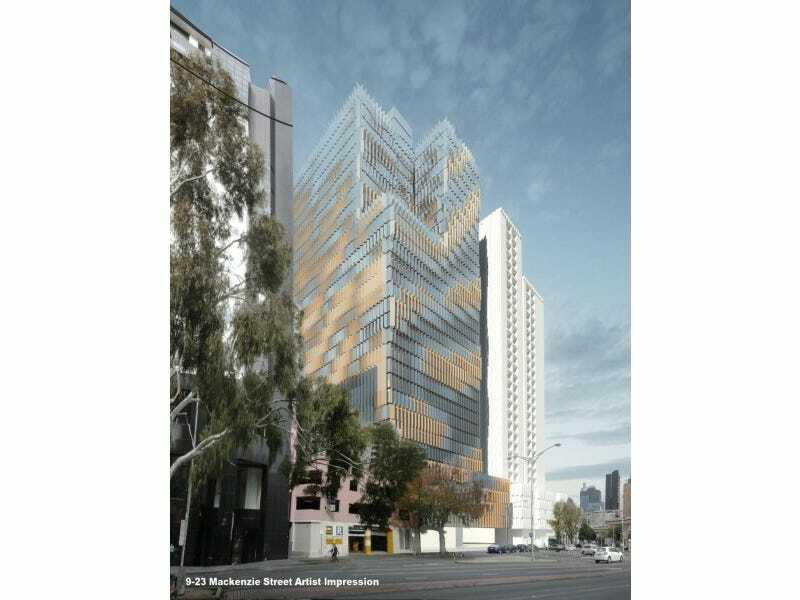 "ABC managing director Mark Scott said the new building would be designed to put the ABC's many services on show. "All the plans for this area are to make it more visible, more highly trafficked by pedestrians, make it more of a centrepoint of the centre,"
THE ABC will be leaving its historic TV studios at Ripponlea and the valuable property may be sold for high-rise residential development under plans to build a new headquarters for the national broadcaster in Southbank. Famous ABC programs such as Countdown were produced at the Gordon St studios, which opened in 1956 with the introduction of television. In recent years, it has been home to programs such as Adam Hills chat show In Gordon Street Tonight and filming for the series Miss Fisher's Murder Mysteries. Under the plan, the ABC will build a five-storey headquarters next to its existing Southbank offices, where its TV news moved in 2001. It will include new TV studios and a major TV production centre. The overhaul is aimed at guaranteeing jobs and production in Victoria. The Federal Government will loan the ABC $90 million, which it has to repay by 2020. I assume the new building is on the adjacent car park? yeah, pretty sure i read somewhere that's whats happening. Its glory days was when it was Carlyon's. LOL. I doubt that will be rebuilt. ^ I get so angry looking at the site, anything is better than the present state. I agree, it is such a pity the above proposal didn't go very far. The way the Green Chemical Futures Building will take shape over the next 18 months has been outlined by contractors Lend Lease. 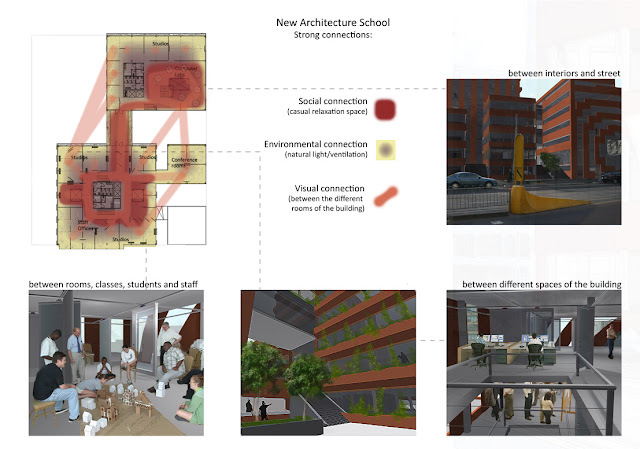 The presentation - provided below as an attachment - also illustrates how the North West precinct will develop. Green Chemical Futures will house over 100 chemists and engineers and will allow the growth of basic science research to targeted industry driven research. It will have 17 specialist sectors, training programmes for industry practitioners and new laboratory spaces available for over 1000 students and 100 industry partners. The lower levels of the building will contain teaching and learning spaces and the upper floors will house research and translational facilities, with double-height foyer and voids spaces linking the levels and collaboration spaces throughout. The GCF will partner with a number of national and international institutions including Yale University (USA), Waseda University (Japan) and the Indian Institute of Technology Bombay (Mumbai). GCF scientists and engineers will collaborate on projects along with CSIRO, the Plastics and Chemicals Industries Association and the Victorian Environmental Protection Agency. The design team are in place to deliver the ambitious project including; Lyons Architects, WT Partnership Quantity Surveyors, ARUP Structural and Civil Engineers, DCWC Project Management, SKM/S2F Building Services and AECOM managing Environmental Sustainability and Design. The Green Chemical Futures Building gets two thumbs up from me! ^ Very interesting. Glad we got what we got compared to that though. In other news, Pricewaterhouse Coopers have put a requirement out for between 12,000sqm and 17,000sqm of office space. They're looking to relocate into the CBD grid or Docklands - their lease at Freshwater Place expires in 2017. So very glad that this was not built... i don't like it at all. might be the quality of the render or what not, but that it just looks rough. 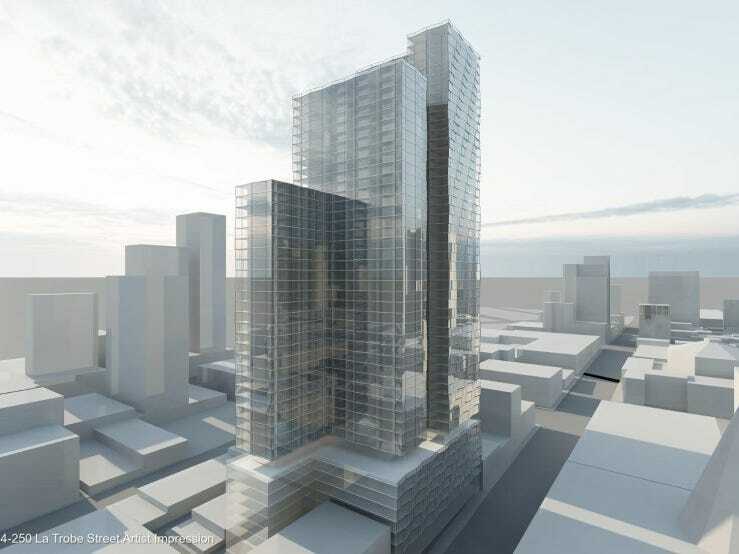 Never seen this proposal before, a second unbuilt northern tower of Riverview House. It's 7 levels on top of the 3 level podium. Not sure if it's going ahead or not, it's listed as 2010, but the digital screen that just was put up is also mentioned . Between them Melbourne and RMIT universities are property gorillas. Buildings owned by the city campuses of the two institutions account for a total floor area of 1,034,000 square metres, equivalent to 13 times the size of Melbourne's tallest office tower, the Rialto, BusinessDay research shows. But for all its size, Melbourne's expanding knowledge industry is often overlooked as a property heavyweight. The CBD's education sector is forecast to grow 7 per cent over the next five years, according to Knight Frank research. That does not include broader expansion in the larger metropolitan area. 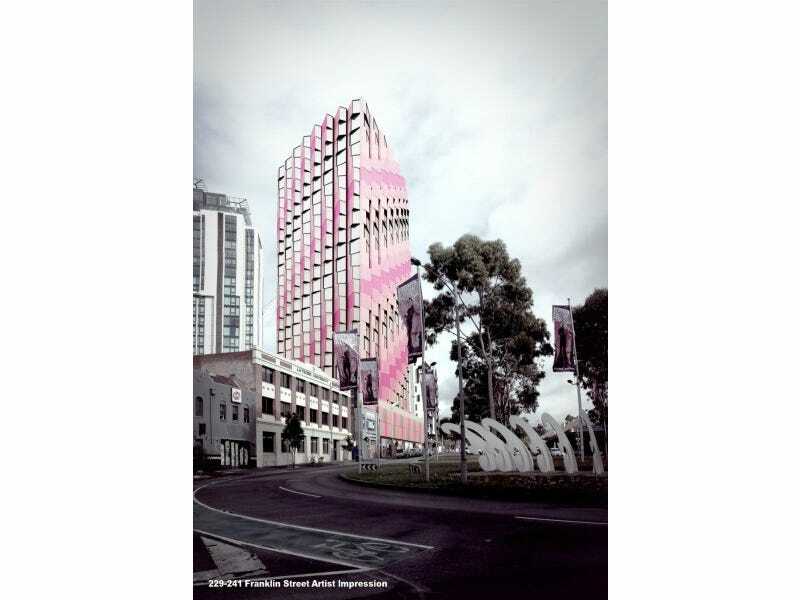 RMIT has plans to build on vacant land behind its Swanston Academic Building. 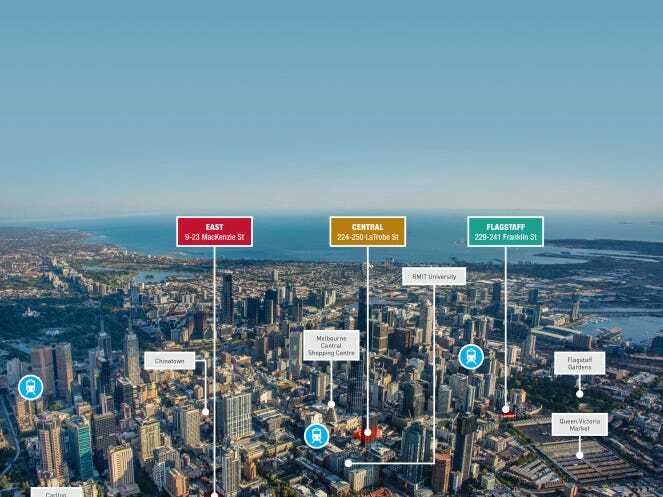 The growth is set to consolidate the state's universities and related research industries as some of the largest land owners and occupiers in the CBD and Carlton precinct. Melbourne University's holdings in Carlton and Parkville include 74 buildings on its original campus bordered by Royal Parade, College Crescent and Swanston and Grattan streets, as well as a further 101 buildings outside it. RMIT owns at least 68 buildings on its city campus spread over 8.2 hectares. It comprises a significant 6 per cent of Melbourne CBD's size, vice-chancellor Margaret Gardner said. And it's not stopping there. While not looking externally for development opportunities, RMIT has plans to build on vacant land behind its Swanston Academic Building, although it is tight-lipped about what will go there. ''We have a series of things that are very important to us in terms of how we develop our footprint in the city,'' Professor Gardner said. They include being driven by design quality, sustainability and ''trying to contribute to the life of the city'', she said. Some more office space taken up at Collins Square, still 6,500sqm remaining in the building though. WALKER Corporation has secured Sladen Legal as a tenant to one of its buildings in its $1.5 billion Collins Square development in Melbourne. Sladen Legal, formerly known as Harwood Andrews, will take 1073sq m in the five-storey Lantern building, which is raised on columns and sits within the Collins Square complex on Collins Street, Docklands. Sladen Legal is the first law firm to open a practice in the Docklands. "The Lantern building now provides a striking and iconic entrance to the Collins Square precinct, with passers-by able to see through the building to the historic Goods Shed South," Walker chairman Lang Walker said. Other groups to have committed to a total of more than 8000sq ms of office space at Collins Square include Marsh Mercer, the Commonwealth Bank and the ATO.